Price is per 16-inch strand of these beautiful beads. Each will be a slightly different size, but average measures 7mm x 3mm. 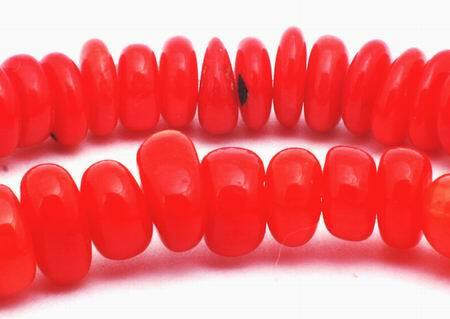 Made from genuine Chinese coral (dyed red). Between 100 to 150 beads per strand.